Located on Pacheco St just off St Michaels Dr, Extra Space Storage serves residents of Santa Fe and Agua Fria. Locals will recognize our facility a few minutes south of Santa Fe Indian School and New Mexico School for the Deaf. 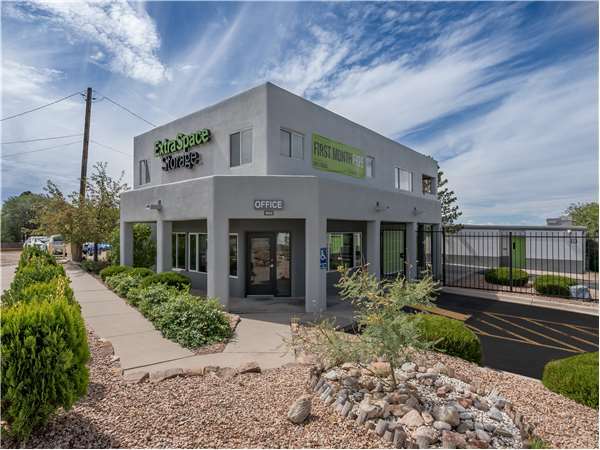 With a large selection of storage units, climate-controlled storage, drive-up access, and exceptional security, Extra Space Storage on Pacheco St is your go-to storage solution in Santa Fe! Our Santa Fe storage facility offers unit sizes from 5x5 to 12x30 and unit features like indoor access, first-floor access, and drive-up access. It's easy to find the space that works for your unique needs! Here's the problem now: i think i may need to update my credit card info, but there does not appear to be a way to do that on this website. Putting our house on the market meant finding a safe, secure, climate-controlled place to stash 20 years of accumulated "stuff" and dozens of pieces of art and photography we had collected. Fortunately, I found such a place less than three miles from the house. The rates are competitive, the facility is clean and well-lighted, and the hours of operation make getting into the unit very convenient. I couldn't be happier....but it WOULD be nice to sell the house, take everything out of storage for an estate sale, and not have to deal with it any more! Drive south on St Francis Dr. Pass Walgreens and turn right onto Columbia St. Turn left onto Pacheco St. Our facility will be on the right. Drive north on St Francis Dr. Pass US Bank and turn left onto W San Mateo Rd. Turn right onto Pacheco St. Our facility will be on the left. Drive northwest on Old Pecos Tail. Continue onto St Michaels Dr. Turn right at McDonald’s onto Pacheco St. Our facility will be on the left. Drive northeast on Cerrillos Rd. Pass Wendy’s then turn right onto St Michaels Dr. Turn left on Pacheco St. Our facility will be on the left.